After a rollicking Blackwoods Scouts’ beer fest session earlier this month, we’re made up to be back in spinning action on Saturday 30th July. This time we’re dropping some leftfield disco (and more) at the rebooted Angel Microbrewery, Hockley for Notts Pride ’16. We’ve got the 6 ’til 9pm slot in the downstairs bar. Sweet one, we reckon. The Notts Pride party will be in full flow and the sun should be setting as we hand over the dex over. Lovely. Once again, we’re made up to be spinning tunes to soundtrack an afternoon of supping craft beers and cider at Blackwoods Scouts Group Annual Beer Festival on Saturday 9th July ’16. We’ll be dropping a massive selection of tunage from 2pm to 8pm-ish. Expect all sorts of nuggets and plenty of sonic surprises too. The beer fest goes on until late that evening so hang around to watch the sunset and catch the evening’s entertainment. We’ll be posting more info on all that over at our Facebook page. It’ll cost you just a few quid to walk in while kiddies get in for nought. That gets you a free beer fest glass to sip your ale from too. Bargain. All profits go towards funding Blackwoods’ activities over the next year. See ya’s there. Hope it’s proper sunny, people. We had a cracking’ time dropping funk ’n soul during our #BeatsnTreats sash at Rough Trade Nottingham last week. We’ll be back on Saturday 28th November. Hope to see ya’s then. Gonna be a right mixed band of wildcard tunes between 3 and 7pm. 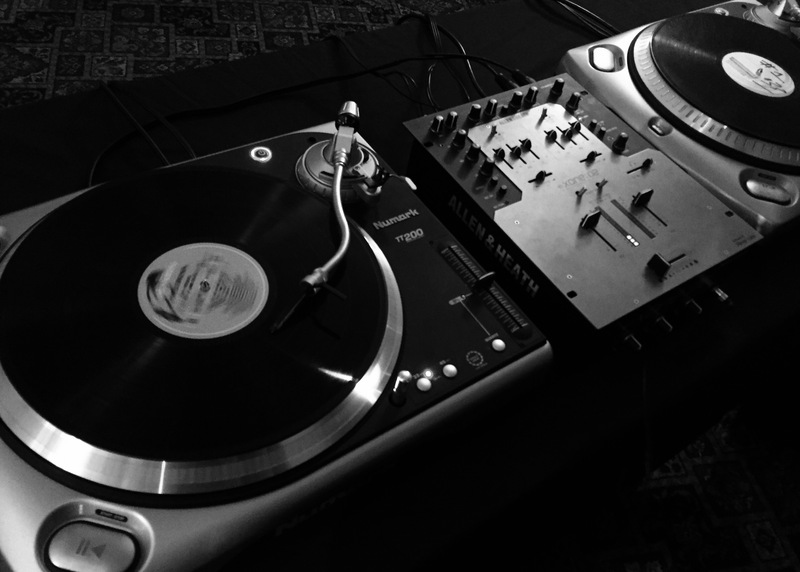 Still buzzin’ from from our debut NottsVinylSocial night sesh. Big hugs to everyone who came out and helped make it a fab night. Sad news but we knew it was coming. 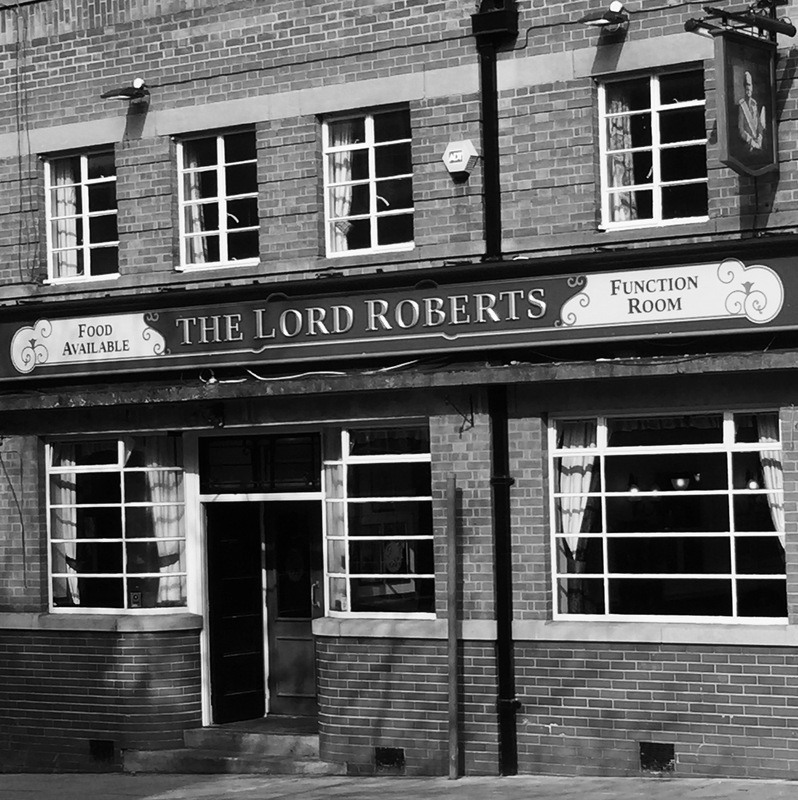 The Lord Roberts Pub will be shutting its doors on 30th September for what could be a long time. Current manager Shaun and his crew will be leaving for good then too. A new owner will take control eventually but the boozer’s friendly and open-minded vibe will be gone when the doors shut that last time. This is down to the pub’s landlord. Shaun’s tried to work something out to keep The Lord Roberts running as it is now but they refused. We’ll soon be looking for a new home for our parties. 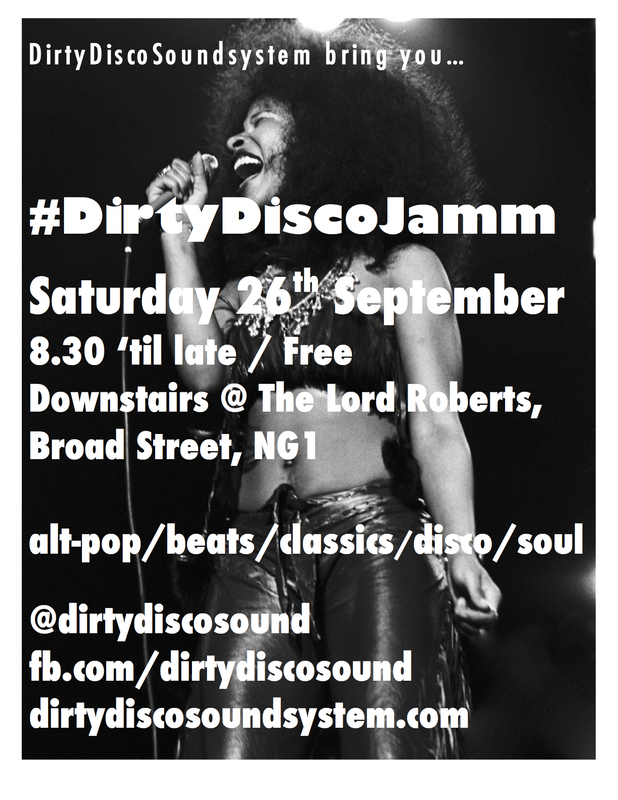 But we’re still having our early autumn #DirtyDiscoJamm party downstairs on The Lord Roberts’ final weekend. But we want it to be a night to remember so we won’t be charging you to get in. Cost ya’s zip so more cash for tipples. May chuck in some balloons too. We really hope you can join us on Saturday 26th September for a boogie in the “disco” basement to help celebrate Shaun and his crew’s last few days plus say a sad goodbye too. 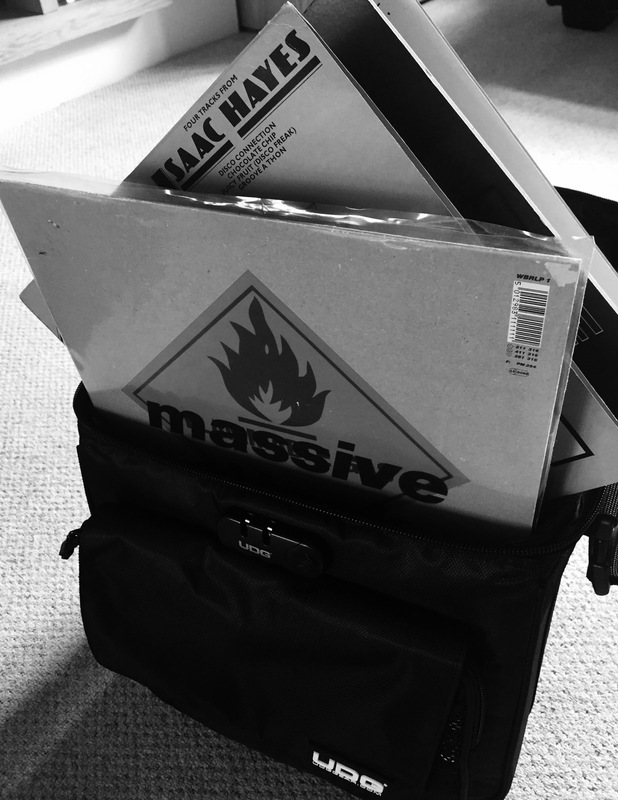 Bit impulsive we know but we’ve set up a record listening club with our mate, Chris, and will be spinning Massive Attack’s “Blue Lines” on our first night plus cuts taking in the Bristol scene and much more. Connections, influences and fab stuff we think will keep the NottsVinylSocial vibe going. 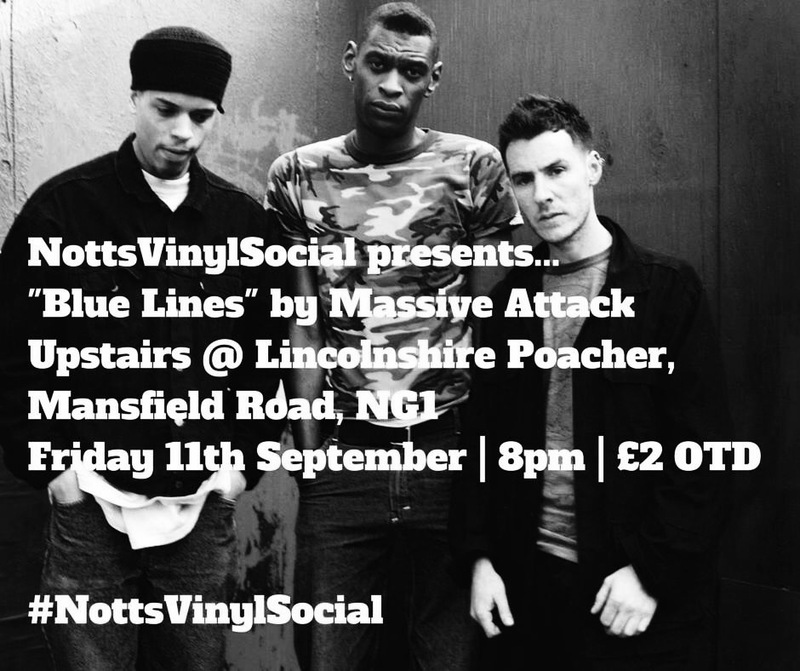 We’ll be upstairs at the Lincolnshire Poacher, Mansfield Road. 8pm ’til late-ish. £2 door tax. Should be fun. Get the lowdown here, facebook.com/nottsvinylsocial and twitter.com/nottsocialvinyl. Who fancies a Pop Up Jamm? Bank holiday weekend init, so we’re made up to be spinnin’ sweet disco ‘n classic pop tunes at The Lord Roberts this Saturday night from 9pm-ish. Just after our all-vinyl Beats ‘n Treats session at Rough Trade Nottingham. Gonna a frisky day, alright. We’ll be in the main bar space. Nice change. So don’t forget to say hello on your way to grab a tipple. Be nice to see you. What a night that was! Right sweaty dancing of the best kind. We had a blast and it looked you lot did too. So a massive cuddle to everyone who joined us, danced lots and got messy. Thank you so much. We’re doing it again on Saturday 26th September. Same place. Get it in your diaries. 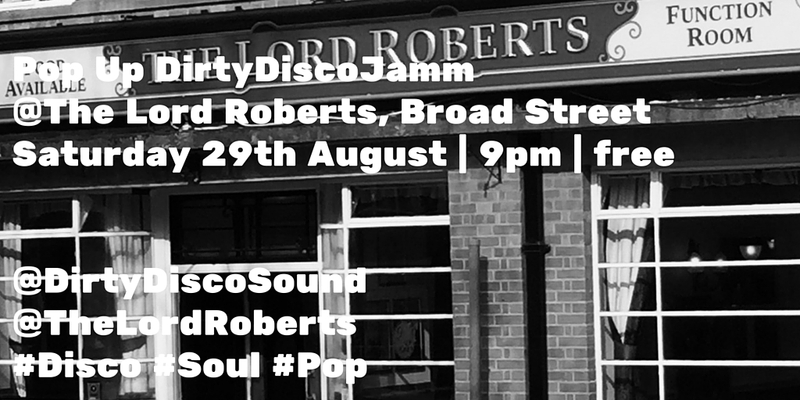 But if you can’t wait, we’re made up to supplying the party tunes at The Lord Roberts’ Pride weekend disco knees up on Saturday 25th July. Expect classics, disco, pop, soul and a juicy dollop of cheese too. Everyone’s welcome and it’ll cost you nought to walk in.